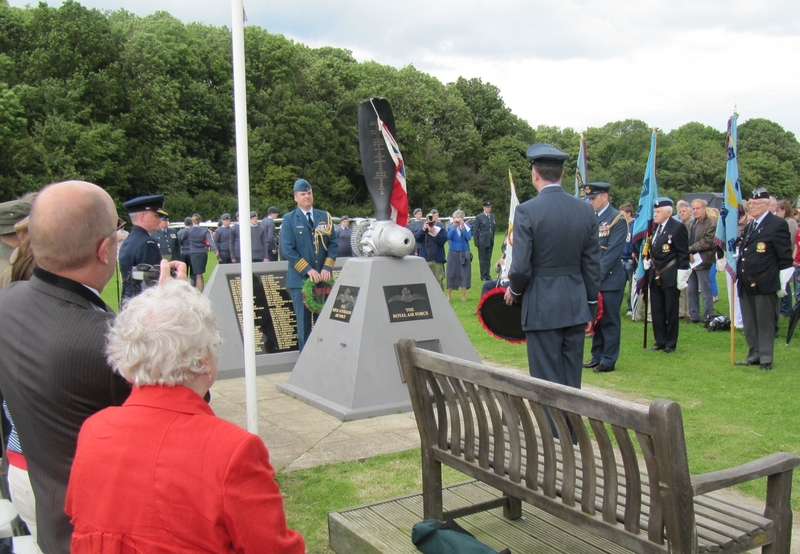 A new memorial to honour the 126 airmen who lost their lives while flying from or serving at RAF Hunsdon during the Second World War was unveiled and dedicated on 23rd June 2012. 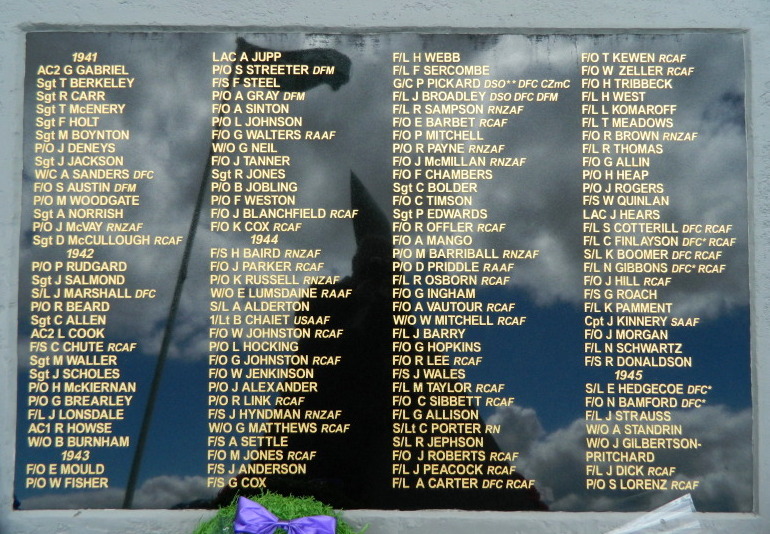 About 300 people attended the service, including relatives of some of the 126 airmen commemorated on the memorial. The service was taken by Reverend Mark Dunstan and Reverend Jim Ledger, a wartime pilot himself. Ware Brass Band played before and during the service. 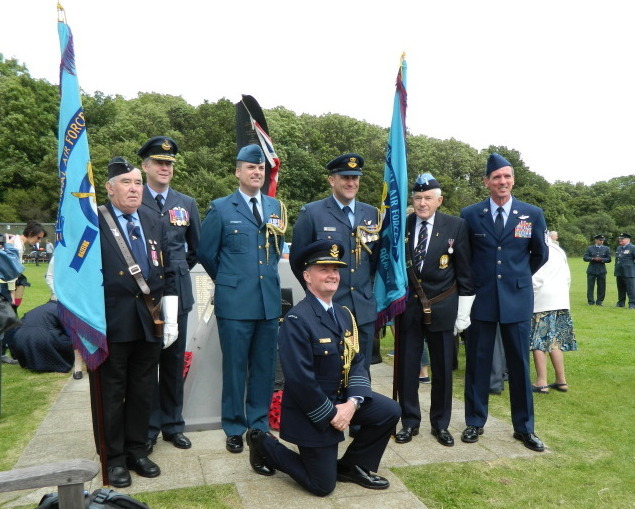 Sawbridgeworth ATC band headed the march on and the Standards of the RAF, the RAFA and the Royal British Legion took station at the memorial. Former Mosquito navigator Fred Cawley said an opening prayer and after the first hymn Air Commodore Gary Waterfall gave an address. 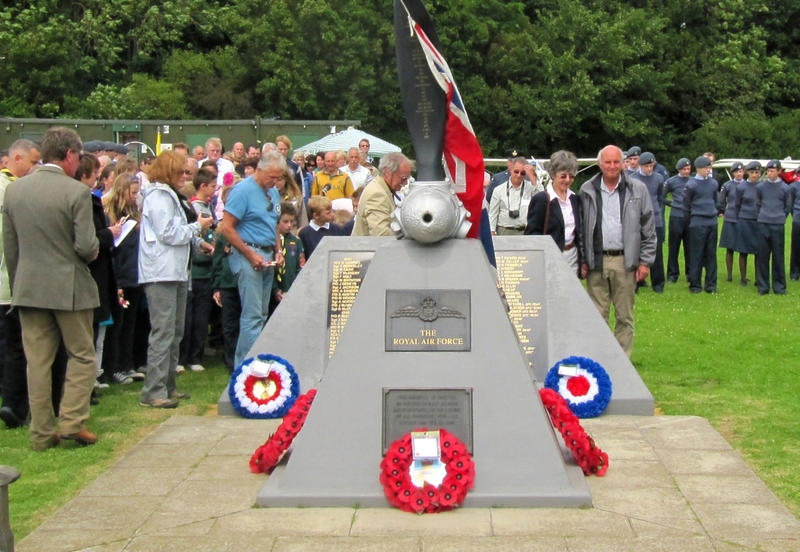 The memorial was unveiled by Hugo Townsend, son of RAF Hunsdon’s first CO Group Captain Peter Townsend, Trevor Edwards, who’s help in raising funds was invaluable, and Vera Hitching, co-author of ‘The Royal Air Force at Hunsdon 1941- 1945’. Following the two minutes silence, wreaths were laid by the four Commonwealth Air Forces representatives – Air Commodore Gary Waterfall (RAF), Colonel Paul Keddy (RCAF), Wing Commander Nick Olney (RNZAF) and Group Captain Peter Wood (RAAF). 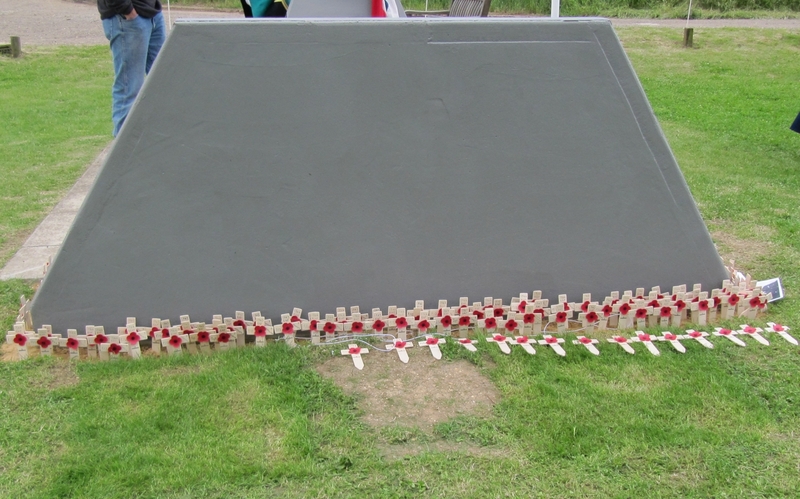 Relatives and local schoolchildren placed 126 wooden crosses at the base of the memorial as The Airman’s Hymn played. After the National Anthem, Giles Townsend gave a closing address. Sadly the planned flypast by the BBMF’s C-47 Dakota was cancelled due to high winds at RAF Coningsby. © HAMG 2012 - 2018. All rights reserved. Website compiled and maintained by Jim Cosgrove on behalf of the Hertfordshire Airfields Memorial Group. Additional material by Denis Sharp.